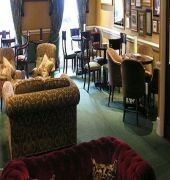 Set within four 18th century town houses, this luxurious London hotel is located in a conservation area with beautiful Georgian period buildings lining the streets, and breathtaking original squares with secluded private gardens. 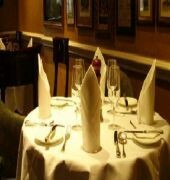 If you are here on business, the hotel is just a 10 minute taxi journey away from St Pancras Eurostar and 5 minutes from Paddington Station (Heathrow Express). Marble Arch Subway station (2 minute's walk) will take you to the business district (Liverpool Street) in 10 minutes, or change at Bond Street and arrive in Canary Wharf business district in 25 minutes. The immediate neighbourhood is Marble Arch, which benefits from being right next door to Hyde Park, with it boating lakes and bridal ways. The popular shopping areas of Bond and Oxford Street are also just a 2 minute walk away. 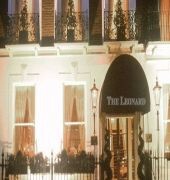 The Leonard Hotel AND Apartments is a Tourist, Traditional, Business, Boutique, City hotel, Honeymoon, Colonial Style, Full Service, Child Friendly hotel. Located in London area. Shopping is right next door and the nightlife/restaurants are right next to the hotel. 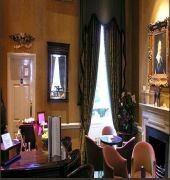 Descriptionclass="small" style="text-align: justify; font-size:11px;">Set within four 18th century town houses, this luxurious London hotel is located in a conservation area with beautiful Georgian period buildings lining the streets, and breathtaking original squares with secluded private gardens. 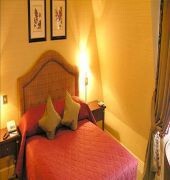 If you are here on business, the hotel is just a 10 minute taxi journey away from St Pancras Eurostar and 5 minutes from Paddington Station (Heathrow Express). Marble Arch Subway station (2 minute's walk) will take you to the business district (Liverpool Street) in 10 minutes, or change at Bond Street and arrive in Canary Wharf business district in 25 minutes. The immediate neighbourhood is Marble Arch, which benefits from being right next door to Hyde Park, with it boating lakes and bridal ways. The popular shopping areas of Bond and Oxford Street are also just a 2 minute walk away.